two Toboggan Runs each with five kilometers in length and different route guides provide for families, beginners and experienced sledders for great pleasure. If you have never racked at night, you should definitely try it. The tobogganing run at the Schatzberg The train starts at the middle station of the Schatzberg gondola lift - it offers a family train and the more difficult "Holzhacker Bahn". Both variants lead through the forest into the valley towards Auffach. The toboggan run at Lanerköpfl in Niederau is a bit sportier. It leads from the mountain station of the Lanerköpflbahn past the Gseng and the Laner Alm in five kilometers back to Niederau. 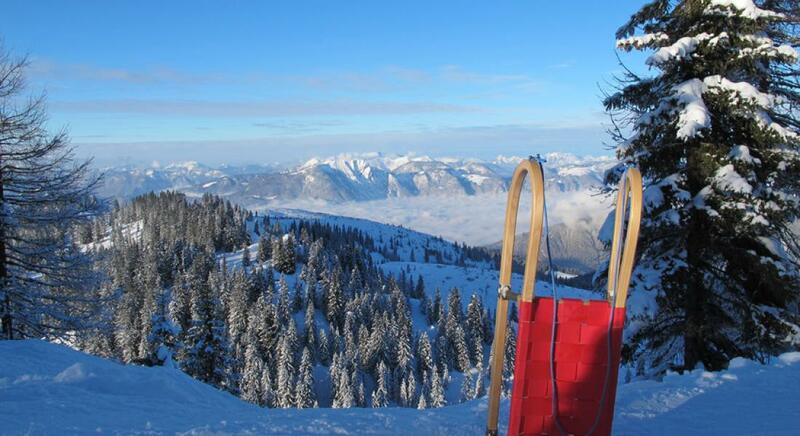 Our toboggan runs are awarded the seal of quality Tyrolean toboggan runs. Tobogganing is a nice pastime not only by day but by night. Night tobogganing by floodlight takes place twice a week at the Roggenboden in Oberau. The toboggans are not traditional toboggans but custom-made with skids. The sledges are hooked up to the tow lift, which brings the tobogganers comfortably to the starting point. The wide downhill track is one kilometer long and snowed for unadulterated snow fun.